Providing central and ductless air conditioning, furnace, boiler and all other HVAC services throughout Toronto and the GTA. If you have an HVAC emergency that requires immediate attention call us. Contact us today for a free estimate on any of our heating and cooling or HVAC services. Air conditioner Toronto. Ductless air conditioning is one of the best cooling options for older homes that don’t have existing duct systems. Our ductless air conditioning installation and ductless maintenance technicians have the experience and knowledge necessary to help you choose a unit that suits your needs. Most ductless air conditioning systems can be installed in a day or two, and with proper maintenance they’ll provide cool and crisp air for many years to come. Whether you’re thinking of improving your home comfort by replacing an old air conditioner, need air conditioner repairs or want to install a new air conditioner you can count on one of our air conditioning professionals. We install air conditioning systems that will meet all of your family’s cooling needs. Our air conditioner repairs and installations are second to none and with over 30 years of experience we fix it and install it right every time. Furnace repair Toronto. With proper furnace maintenance and repairs, your furnace will last for up to 20 years before it needs to be replaced. Our talented HVAC technicians have the experience and knowledge necessary to work on all makes and models, so your furnace will last under our care. When it comes time to install a new furnace, we always recommend energy-efficient furnace models that will save you money on your energy bills throughout their lifespan. Winter in Toronto and the GTA is cold, and that’s not going to change. That’s why our boiler repair and maintenance professionals are here to help you keep your home warm during even the coldest winters. Our experienced and qualified boiler repairs and installation team provide boiler services for any make or model. When it’s time for a new boiler, we install energy-efficient boilers that use less energy and save you money on your monthly heating bills. We understand that your time is important, and you don’t have a minute to waste, which is why our technicians are at your home on time. We know you don’t want to spend hours waiting around for a ductless air conditioning or furnace service call, while you could be spending time doing more important things. During and after our services call such as ductless air conditioner installation, ductless air conditioner repair, furnace repair Toronto, and boiler repairs, we’ll do our best to keep your home as clean as possible. We take extra steps to protect your floors, furniture, and other valuables so they aren’t damaged during our work. We lay down mats and/or wear protective foot coverings as needed. We’ll also remove any mess or debris we create in your home and the work area. Whether you need ductless air conditioning services, boiler installation, furnace repair, air conditioner installation, or gas fireplace maintenance, you’ll know the entire cost in advance before we start working. We make sure there are no unmentioned costs or surprises when the work is complete. Our friendly, professional heating and cooling technicians are second to none. We ensure that all of our technicians are trained experts who love what they do. They have the experience and knowledge that you want to properly repair All of our technicians have been through thorough background checks prior to being hired by Novel Care. Novel Care is accredited by the Better Business Bureau with an A+ rating. We also have great reviews from our customers on Homestars. On top of that our reviews on Google and Facebook speak for themselves. Our customers always have great experiences working with our HVAC technicians and customer support staff. In addition to the manufacturer’s warranty on the heating or cooling products we install or repair for you, we provide the Novel Care guarantee. This means that we won’t rest until you’re completely satisfied with our services. Whether it’s ductless air conditioning installation, boilers repairs or furnace maintenance, we ensure you’re happy with our services. 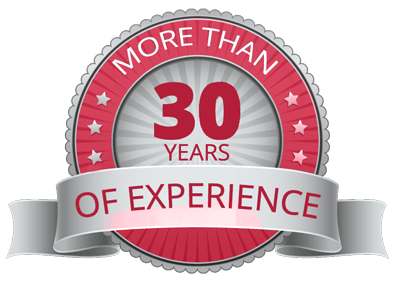 Novel Care has been providing heating, cooling and all other HVAC services to residents of Toronto and the Greater Toronto Area for over 30 years. When you invite a Novel Care HVAC professional into your home, you know you’re getting first-rate service. We’re positive that if you work with us once, you’ll become a Novel Care customer for life. Our dedication to great work and customer service has resulted in thousands of repeat customers and referrals. Try our services (ductless air conditioning, central air conditioning, furnace, furnace repair Toronto, boiler, in-floor heating, etc.) once and you’ll always call Novel Care. There are lots of reasons why our customers keep coming back to us for professional HVAC services. We have an amazing team of friendly and expert technicians who ensure that the job is done right the first time. Our pricing is very competitive and we offer free estimates so you won’t be surprised by hidden fees. You get the full price up front before we start working. We also stand by our price match guarantee, which means we will match any price in Toronto and the GTA. Best of all, we guarantee our work, which is why we are accredited by the Better Business Bureau. We remain true to our principles of integrity and dependability, and are committed to a job well done.